Geof Pelaia is founder of Pelaia Media Group, a digital marketing agency in Rocky River, Ohio providing content marketing strategies for businesses that include brand development, web design, social media, graphic design, and video production. 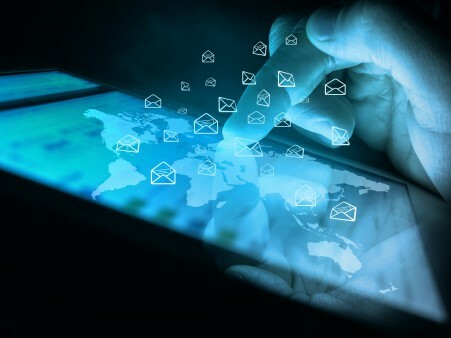 Marketing communication technologies are always advancing, but email is still the most reliable way to connect with donors online. 91% of consumers check their email from a mobile device daily. The average mobile Internet user spends 42% of their time on email. 66% of all promotional emails are opened on a mobile device. 1. Grab Attention with Subject Lines – Quality subject lines are imperative to successful email open rates. Try engaging the reader by asking questions, sharing interesting stats or figures, or by creating excitement. Keep subject lines short – the email marketing rule of thumb recommends limiting characters to 50 or less (4-6 words, tops). 2. Segment and Target – Taking the time to manage your database and segmenting groups (i.e. volunteers, donors, staff) is time well spent. This effort pays off best when you need to send out targeted messages that may not be relevant to everyone in your database. 3. Get Real with Content – Quality content that is most relevant to donors will perform best. Keep emails short, on point, and visually engaging. Once you design a layout for your emails, stick with it – especially if you are sending out campaigns frequently. Setting an expectation and delivering on it is a great way to build loyalty among your donors. Don’t forget to introduce the measurable calls-to-actions that serve your overall marketing goals (i.e. Donate Now, Register for Event, etc.). 4. Consider the Mobile Email Reader – With so many emails opened on mobile devices, make sure to test your campaign’s layout and contents to make sure they’re mobile compatible. Keep your messages short, use only a few images, and format them for quick loading. Make sure that all links are ‘thumbable’ – if you can’t click on it easily with your thumb, redesign it using images or buttons. 5. Don’t Forget to be Social – Each email campaign presents an opportunity to grow your social media network, thus extending the reach of your messages. Remind recipients which social media platforms your organization is on and invite them to share your content! 6. Monitor and Analyze – Email campaigns provide a variety of metrics to analyze and draw insights from. Open Rates can tell you how many recipients have actually opened the email and Click-Throughs will provide insight on which content in the email is most popular. Keeping an eye on these metrics will certainly provide guidance on best practices for your organization’s future email campaigns. Consider these tips when crafting your next email campaign and expect higher open rates, click-throughs, and conversions that will help amplify your organization’s fundraising goals. Are you a NONPROFIT looking for help with email template design or campaign management? Pelaia Media Group and Big River have partnered to design specially priced offerings designed just for our nonprofit friends. CONTACT US to request more information.